Tucked between the vines and the unrivaled backdrop of oak trees and mountain tops, our two-acre Napa Valley hotel offers country charm with understated elegance, perfect for soaking in your surroundings and enjoying the natural Napa spirit. 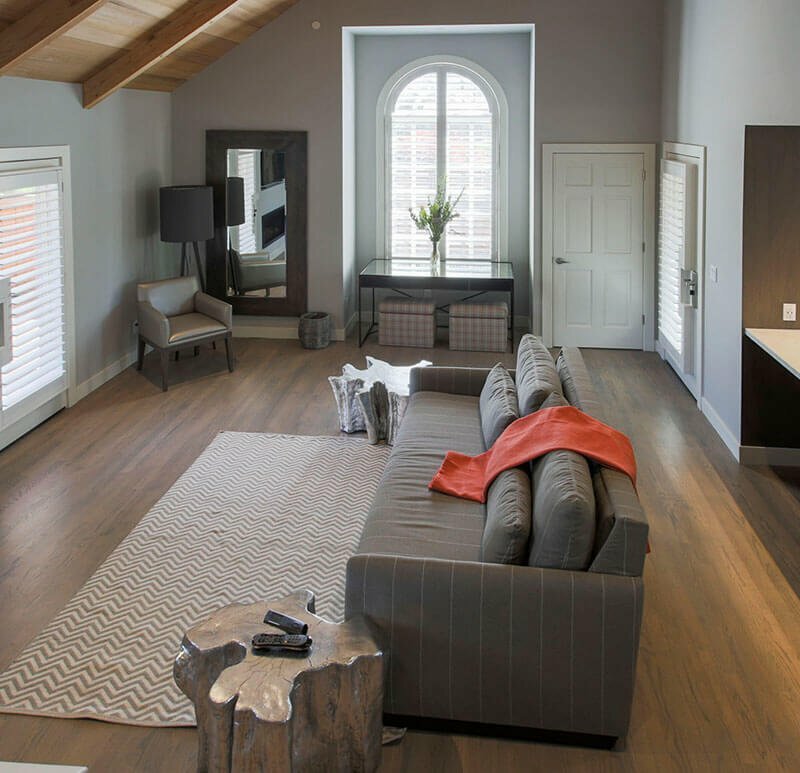 With roots deep within Napa history, SENZA Hotel provides a tranquil hideaway filled with all of Napa's best attractions. Wake up to a hearty Continental breakfast and mix and mingle at our nightly artisan wine and cheese hour. Gather around the fire pit with a bottle of your favorite wine and share stories of your Napa experience.Rest and renew in modern accommodations and sleep steps from the vines. Breathe in the Wine Country air and take a moment to relax and disconnect. Sleep peacefully in our contemporary rooms and suites, with luxury bedding, organic bath products, and spacious patios with garden and vineyard views. Indulge with a soothing body treatment or rejuvenating facial in our spa treatment room and let the Napa vibe soak in. Sleep, eat, and breathe in the essence of Napa. 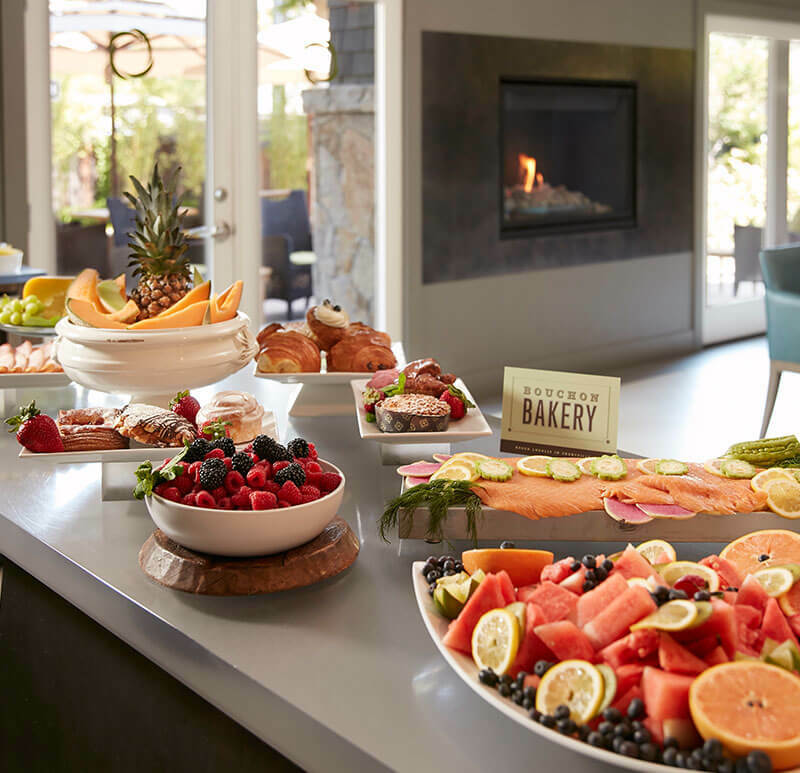 All the extras are included…Breakfast, wine & cheese hour, pool, and a communal firepit to gather around for an authentic wine country experience. Sleep steps from the vines and step out onto your private patio overlooking the vineyards and the rolling hills of Napa Valley. Relax and unwind with vineyard views to enhance your experience. Art, culture, and community are essential components of the SENZA experience - as well as the cornerstones of Napa Valley. 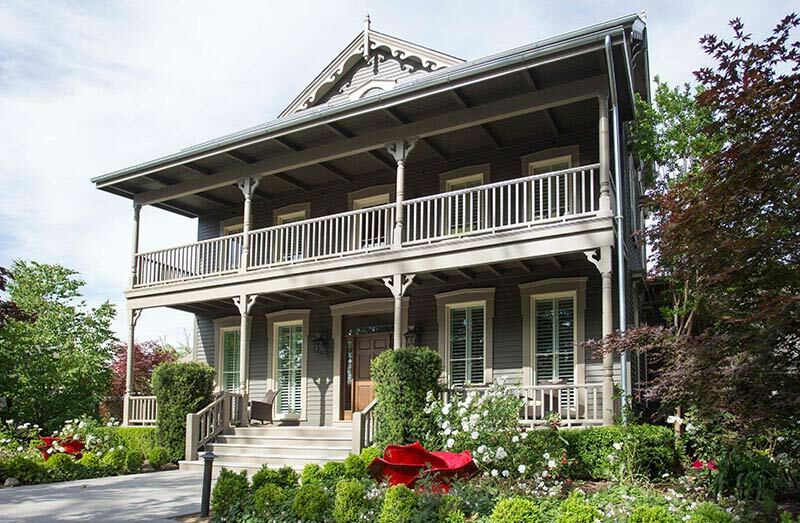 From a country B&B to a luxury hotel - SENZA maintains its deep connection to Wine Country. Our Wine Country hotel is situated at the Gateway of Napa Valley, just footsteps from the vines, and only minutes to downtown, where you can walk to tasting rooms, Michelin-starred restaurants and eclectic shops. With a vision of combining their vast experience in winemaking and their new-found position in hospitality, the Hall's set out to give each guest a fuller slice of Napa living. Book seven days in advance of your check-in date and prepay in full, and you'll receive up to a 15% discount off our standard rates. Let passion come alive with our romance package featuring luxury suites, champagne, chocolate-covered strawberries, and a couple's massage. Book the ultimate romantic getaway with someone special and enjoy a bottle of Cabernet, a couple's massage, and a wine tasting for two. 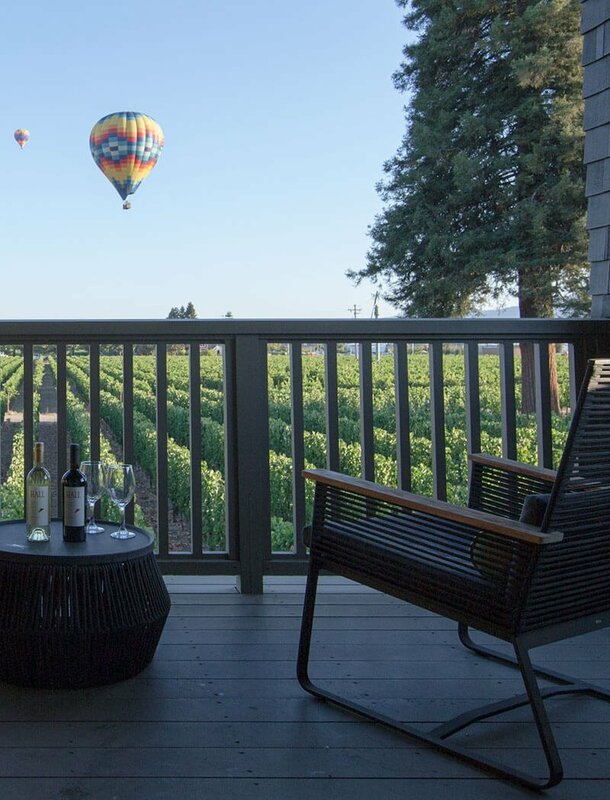 Set out on an unforgettable adventure in the clouds with this elevated Napa Valley experience for a birds-eye-view of Wine Country. Embark on a journey through Napa Valley's countryside and enjoy a gourmet lunch or dinner aboard the Napa Valley Wine Train. 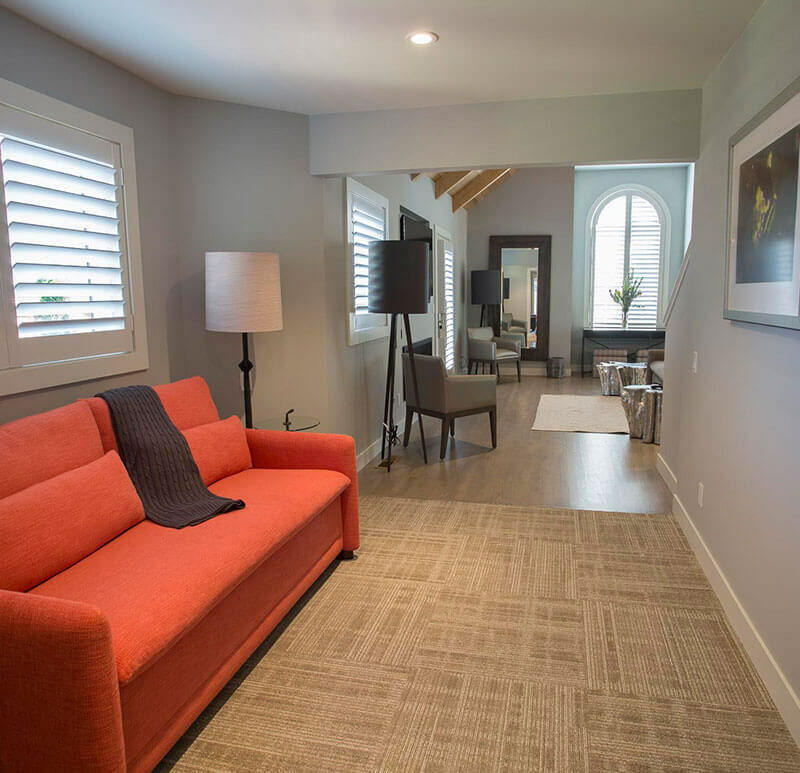 Breathe, sleep, eat, and rejuvenate steps from the vineyard and soak in SENZA's natural connection to Napa Valley. With an ideal Napa location, walk to the nearby vines and sample Napa's bounty. What airport is closest to Napa Valley? Getting to Napa is easy and virtually stress-free with multiple airports to choose from. Napa Valley is approximately 55 miles north of San Francisco International Airport, 60 miles west of Sacramento International Airport, and is about an hour and a half away from Oakland International Airport. Rental cars and ground transportation are available at all airports. What is there to do in Napa Valley? Known for impressive vineyards, outdoor recreation, an innovative culinary scene, Napa Valley is bursting at the seams with things to do. Tour the wineries and sample Napa’s bounty. Nature lovers can hike, bike, play golf, and see the world below from a hot air balloon ride. Foodies can pair perfectly smoked charcuterie with their favorite vintage. If that’s not enough, Napa is home to many seasonal events and happenings all year long. Do you have an overnight Napa spa package? There are two spa packages offered at SENZA Hotel. Our Romance & Rejuvenation special offer includes luxury Napa Valley accommodations, a couple’s massage at SENZA Spa or in your guestroom, and a chilled bottle of sparkling wine with chocolate-covered strawberries upon check-in. The Rendezvous for 2 package features deluxe accommodations, a couple’s massage, a bottle of wine, and two passes to Magnum Vino for a wine tasting adventure. What is the best way to plan a Napa Valley meeting? It’s easy to host a small business conference or corporate retreat at SENZA Hotel. Simply fill out the RFP with dates and information about the event and one of our seasoned team members will gladly be in touch to help with the planning. From catering to A/V equipment, our staff is on deck to help make all of your meeting needs. At SENZA, pets are considered a part of the family and are treated to the same outstanding service as human guests. No matter your reason for traveling, you can rest assured that your furry friends will enjoy a relaxing, comfortable stay in our pet-friendly accommodations.